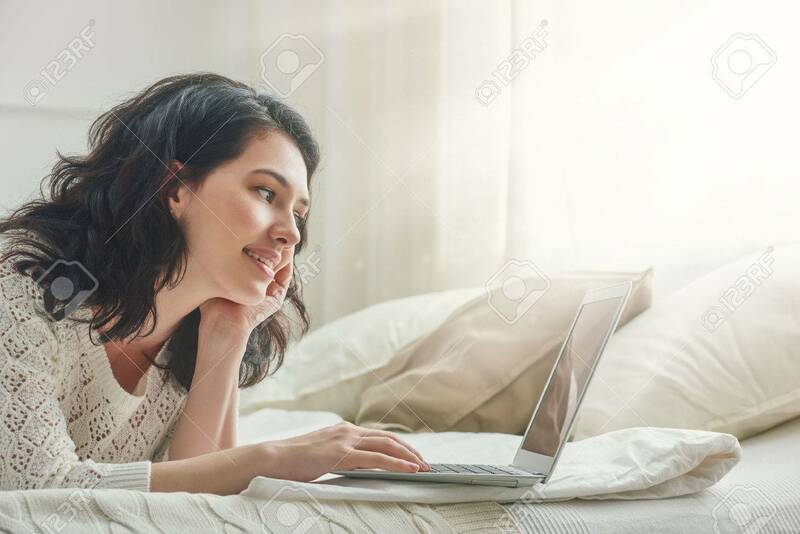 Happy Casual Beautiful Woman Working On A Laptop Sitting On The Bed In The House. 免版權照片，圖片，畫像及圖片庫. Image 54722904. 版權商用圖片 - Happy casual beautiful woman working on a laptop sitting on the bed in the house.